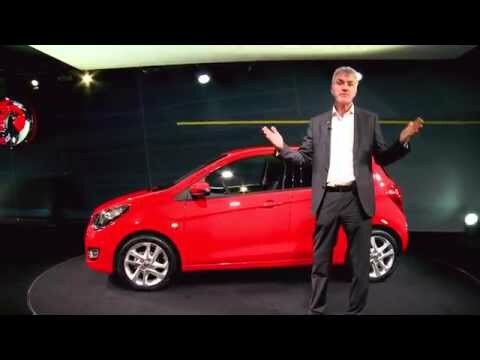 Viva is the latest Vauxhall to feature it's new 1.0 litre three-cylinder ECOTEC engine. Specially developed for Viva, this 75PS powertrain is smooth, punchy and efficient, and is mated to a slick five-speed transmission. Like the ADAM and Corsa, Viva is fully-connected to the Intellink infotainment system, which allows seamless integration of Apple iOS and Android devices. It is also equipped with ESP featuring traction control, ABS with Electronic Brake-Force Distribution and Hill Start Assist, which prevents the car from rolling back when starting on a slope. Another feature that Viva shares with Adam and Corsa is City mode which reduces steering effort at the push of a button. Park Assist alerts the driver to obstacles whilst parking plus the optional cruise control, sunroof, fog lights, heated front seats and steering wheel. Comfortable and practical with room for up to 5 people. Viva wil be available in ten exterior paint colours with a variety of 14 - 16-inch wheels.